Larry Flynt was Bill's #8 pick in dp03 for 0 points. Larry Flynt was Josh's #9 pick in dp07 for 0 points. 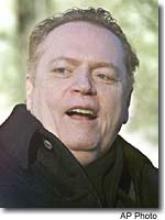 Larry Flynt was Dummy Hand's #6 pick in dp09 for 0 points. Larry Flynt was Bill's #6 pick in dp10 for 0 points. Larry Flynt was Bill's #7 pick in dp11 for 0 points. Larry Flynt was Mark's #5 pick in dp12 for 0 points. Larry Flynt was Doug's #8 pick in dp17 for 0 points.